Former Boxing champion, Nick Otieno Kanyankole will on Saturday step into the ring to contest for the vacant national bantamweight title. Kanyankole recently knocked out Remmy Iga at Thika Municipal stadium and will next face Gabriel Ochieng for the 12 round title fight at Club Casuarina in Buru Buru, Nairobi. The fight is sanctioned by the Kenya Professional Boxing Commission(KPBC) and promoted by Atomic Bunde of Time Bomb Promotions in conjunction with Nairobi Senator Mike Mbuvi ‘Sonko’. for providing the venue for the bout.” said Bunde. six round none title fight. heavyweight category will involve James Onyango whose opponent will be announced on Friday during a weighing in session at a Nairobi hotel. 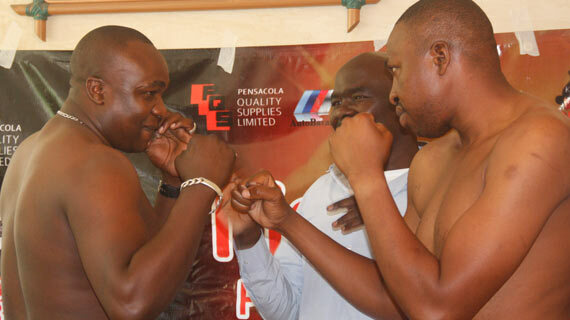 Another bout pits Francis Kimani against Fred Nyakesha which will also be a six round heavyweight fight. Bunde noted that he is glad to return to promoting boxing after a three year hiatus. local champions before I take my promotion regional, “said Bunde. While urging the corporate to come on board and help promoters take boxing to the next level, Bunde challenged KPBC to exercise professionalism in order to change the image of boxing in the country.